According to the White House, drugs do not discriminate, they are prevalent in every race, culture, and sexual orientation. They cross social and economic boundaries just as easily as they cross geographic ones. There are however populations of users that are considered special populations. These populations are both at a higher risk for addiction and need specialized treatment for their addiction. Special populations are people who are particularly vulnerable to drug use or are made vulnerable to using drugs. These people sometimes require specific attention and highly specialized treatment methods. It is important that nursing staff, doctors, and other addiction specialists know how to respond to these particular groups in order to provide the best treatment possible. Military personnel are vulnerable to substance abuse. 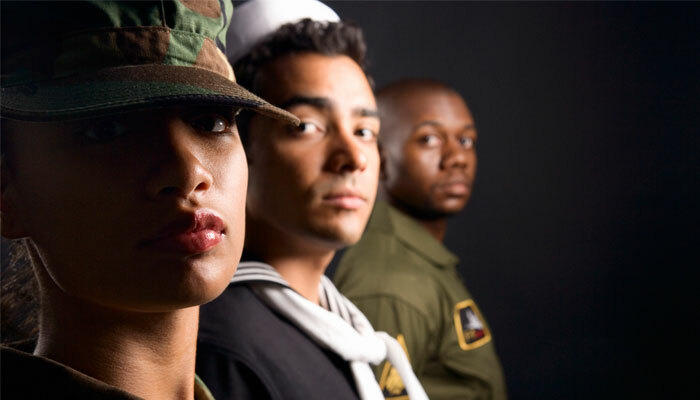 Due to the stress of service and active duty, military members are particularly vulnerable to starting a drug habit. This coupled with availability of drugs in foreign countries makes military personnel and support staff particularly vulnerable to drug use. Rehabilitative facilities need to know how to deal with the special concerns of combat veterans and other people who are victims of conflict. Pregnant women are a highly specialized population in need of addiction treatment. Due to the delicate nature of the child, trained specialists are necessary to deal with withdrawal in pregnant woman. The wild blood pressure, heart rate, and other fluctuations that happen as a result of withdrawal can seriously harm the unborn child. Also the hormone differences that happen during a normal pregnancy might be masked or made worse during withdrawal. There is also the risks to the fetus during birth when the mother is a drug addict. Both women and children have different reasons for starting to use drugs. According to the National Library of Medicine, the effects of drug treatment on adolescents and children have not be studied extensively. Many adolescents and children either withdrawal without professional help or the withdrawal is treated as a family matter. Due to the lack of information, adolescents and children need to be treated as a specialized population. A very high portion of the homeless population is addicted to drugs. Some of them became addicted and lost their homes due to the addiction. Some of them became addicted after becoming homeless. Regardless of the circumstances, the homeless qualify as a special population. Many addiction centers offer housing assistance as well as employment and education assistance. The homeless require social services and a stronger aftercare program. One of the largest special populations in addiction treatment are those with co-morbid conditions. This means that there is a physical or mental condition that coincides with the addiction making the addiction harder to treat. Although it is possible to treat both conditions at the same time, it is difficult particularly when the underlying condition is hidden by the addiction. Many addictions start as self medication for these conditions. Addiction treatment is a complex process without factoring in special populations. Although many addiction centers are now recognizing the need for different treatment requirement for these populations, many are still behind the times. For more information or to find a center that treats addictions in special populations call us at 800-895-1695.